Welcome to Camp Tech Revolution! 2019 Graphic Design Camps in Los Angeles CA, San Francisco CA, Berkeley CA, Manhattan Upper East Side, NYC, Long Island NY, Miami FL, Lake Forest IL, Chicago IL & West Chester PA at Camp Tech Revolution! This Graphic Design Camp Major is one of 40+ options offered at Camp Tech Revolution. Select a camp location to view our full summer schedule for campers ages 7 to 14. Graphic Design with Sneaker Customization & T-Shirt Design – The Next Big Brand Could be Created By You. This is your chance to create your own clothing brand and produce a custom pair of Converse Sneakers and customized T-Shirts. Learn the technical skills needed to create designs that communicate messages and leave lasting visual impressions. Learn about typography, use pure design elements like colors, shapes, and images, and create clean and effective products. 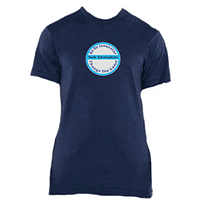 Each week, create a logo and designs that can be placed on hats, t-shirts, hoodies, socks and more. On Friday, showcase your portfolio to the camp! Once your designs are complete on Friday, your instructor will upload them to our Central office and you will receive your custom sneakers and printed t-shirt in the mail (please allow 2-3 weeks)! Design and receive a custom pair of sneakers and your very own shirts! Show them off to your friends and family! Regular Camp Day: The Regular Camp Day is from 9:00am to 5:00pm. Early Arrival & Extended Day Options: An Early Arrival option is available from 8:00am to 9:00am ($10/day) and an Extended Day option is available from 5:00pm to 6:00pm ($10/day). If paying by credit card or by E-Check, please do so online. Any payments by cash must be made in person, please contact us to make arrangements. Now that we accept E-Check, we do not accept payment by check in the mail. Registration for camp is completed online (by clicking the “Register Now!” button at the top of the website). When registering, you must complete the entire Camper Registration Form for each child, which contains a consent form that must be signed by the parent and/or legal guardian of the camper. 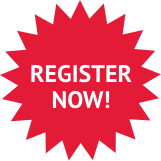 If you registered over the phone, our office will start your registration, but you still need to complete your registration online which includes completing/submitting the Camper Registration Form. If you do not complete our consent form but send your child to camp, this is considered implied consent to the terms and conditions listed in our consent form. If you are having trouble accessing online registration, you must print the consent form and scan/email it to [email protected] prior to your child attending camp. The consent form constitutes the entire agreement and no section of the consent form may be waived by any other writings or methods of communication. The minimum grade requirement for CAMP TECH REVOLUTION is the completion of 1st grade by June, 2019. Please visit your Location Page for tuition at your camp location. Camp Packets include additional information specific to each location. Packets will include detailed information for your location, week and courses (Majors/Minors). Additional information included in camp packets are: Arrival/Departure information, what to bring to camp, campus maps and directions, meals, and more… Camp Packets will be available by May 1, 2019! In order for an individual to pick up and sign out your child from camp, he/she must (1) be listed on your online Camper Registration Form as an authorized individual to pick up your child and (2) present a valid driver’s license or government issued photo ID. The Camper Registration Form is the form you completed during online registration, and the question pertaining to Authorized Individuals to drop off/pick up is on the first page of this form. All Authorized Individuals must be listed on your Camper Registration Form by the Friday prior to your child’s upcoming camp week. All amendments of authorized individuals (additions or deletions) must be made by the primary account holder on the Camper Registration Form. To login to your account, click on “My Account!” at the top of the website. Extended Day is from 5:00pm to 6:00pm. If you pick up your child after 5:15pm it is consider Extended Day and your account will be billed for extended day (if not previously registered for extended day). If you would like to book Early Arrival, and/or Extended Day please do so by the Friday prior to your child’s upcoming camp week. If you need to add any of these options during the camp week, please send your request directly to [email protected] and we will do our best to accommodate you (and will charge your credit card on file). If your child attends Early Arrival or Extended Day and it was not previously scheduled and paid for, our office reserves the right to bill your account and charge your credit card on file. If you decide to purchase lunch you can do so online during registration or can log back into your account and purchase lunch until the Friday prior to the start of the camp week. Depending upon the location, lunches are ordered from area restaurants, caterers, and/or the university or school cafeteria. 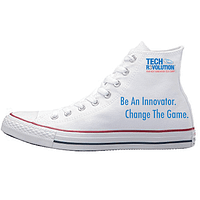 Free t-shirt: Every camper receives one white “TECH R3VOLUTION™” t-shirt. 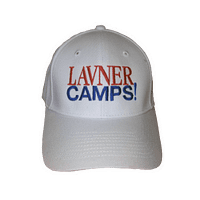 Additional Camp Tech Revolution and Lavner Camps apparel is available for purchase from The Lavner Camps Store at any time. If your child arrives at camp and you have an account balance, Lavner Camps reserves the right to process your credit card on file for the camp week. After attending camp, if still have an account balance, Lavner Camps reserves the right to process your payment method on file during scheduled billing cycles. • Savings are up to $100 per week depending on your location. • Limited availability. Spots could sell out at any time. 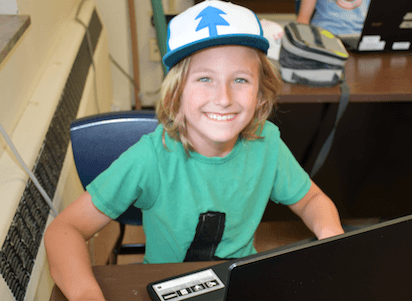 Camp days are fun and exciting, and no day is just “typical” at Camp Tech Revolution®. However, it is important to have organization, structure, and a healthy mix of indoor and outdoor time! Below is a sample schedule for our campers attending Camp Tech Revolution®. Regular hours are 9am to 5pm. Early Arrival is available beginning at 8am, Extended Day is available until 6pm. Camp Packets for Summer 2019 will be available in the Spring! Our camp families ask us many great questions about our summer camps. Below are a list of questions that are frequently asked. If you have a question that is not listed, please send it our way! Question #1: How much time do campers spend with their majors and minors? Answer: Campers will spend approximately 22.5 hours/week in their major and 10 hours/week in their minor. Answer: Typically our ratios are 1 staff member to 8 campers… or better! We strive to create a camp environment where campers receive excellent supervision and high levels of attention during instructional periods. Answer: Our instructors are the very best out of a large pool of qualified applicants we consider. We hire less than 8% of applicants. Typically, our lead instructors consist of teachers, college professors, undergrad/grad students from excellent colleges/universities, and the occasional superstar student entering college in the fall. Assistant instructors typically consist of accomplished rising seniors. Our instructors are extremely knowledgeable in the subject area, passionate about working with kids, highly responsible, and all have cleared background checks. Instructors go through a rigorous orientation and training prior to the summer camp season and have constant support from on-site camp directors and our central office. We put them in a position to succeed… and they do! Answer: Yes! At least one on-site camp director manages Tech Revolution at each location. The director is trained to make sure that daily operations at camp are running smoothly, and is also CPR Certified & First Aid trained. Our camp director is available on site to answer your questions, and is available by phone and email if you need to communicate with him/her during the day. Answer: Camper attendance varies. Most campers attend for multiple weeks, and can move up in curriculum if selecting the same major or minor for more than one week. All of our majors and minors have multiple levels of curriculum and lots of additional activities and projects for all skill levels. Answer: Campers are grouped by age and placed in either the Innovators (Ages 7 to 10) or Game Changers (Ages 11 to 14) group. We run multiple levels of curriculum in each camp, allowing for campers to attend camp with us at any time during the summer and be placed appropriately in camp. 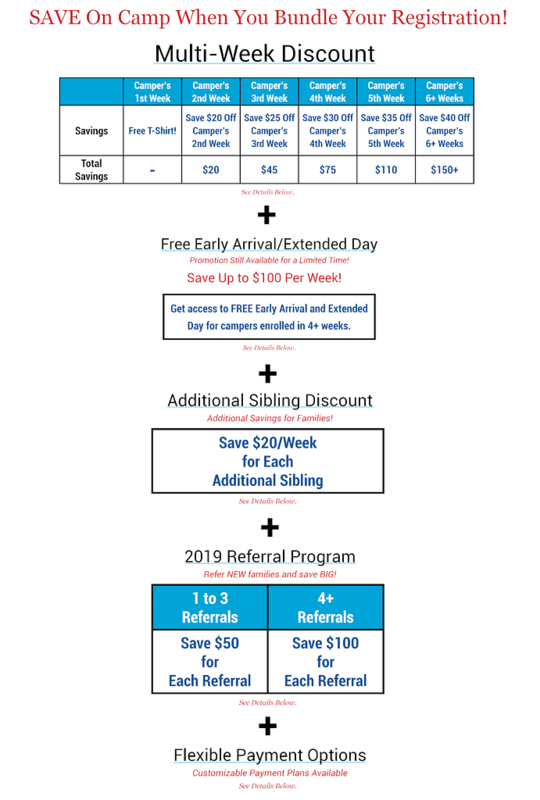 This provides our camp families with maximum flexibility. Question #7: Do campers improve at camp? Answer: Yes! Campers receive concentrated time of approximately 32.5 hours in their major and minor. This amount of focused time, combined with our cutting-edge curriculum and high level instructors, allows our campers to greatly improve. They are also attending with other campers who share similar interests, which fosters learning through peer to peer interaction. Answer: We hire fun and dynamic instructors! Campers are also selecting a major and minor that interests them. Numerous breaks are also incorporated throughout the day with opportunities for recreation and socialization. We offer a great balance of indoor and outdoor time, to make sure our campers have a chance to get fresh air, socialize, and play fun sports and games! Answer: Camp safety is our #1 goal. We work hard all year to make sure our camp safety is top notch. Camp Tech Revolution is operated by Lavner Camps, the leading specialty camp provider in the United States. 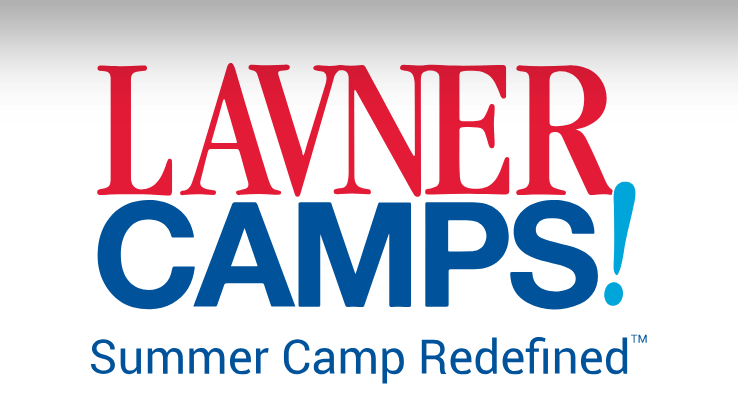 Lavner Camps is accredited by the American Camp Association (which has hundreds of guidelines for accreditation) in PA and NJ, and carries its standards to other states. We hire responsible staff and train them (including a written test of our detailed handbook/procedures), employ procedures that promote safety and supervision, and are in constant communication. Question #10: Why should we choose Lavner Camps and Camp Tech Revolution? Extremely high retention rate of campers and growing each year, especially through word-of-mouth referrals. Expert Leadership Team – Camp Professionals who drive our mission of camp excellence full-time, and bring years of summer camp experience and educational backgrounds from the University of Pennsylvania, The Wharton School, Penn Engineering, Cornell University, Brandeis University, Villanova University, EMU, UM – School of Education, Columbia University, Harvard University – Graduate School of Education and more! A proven track record of thousands of campers who succeeded and love Lavner Camps! Additional Questions: If you have any additional questions, please email us at [email protected].com, call our year-round office at 888.854.CAMP (2267), or send us a message on our website chat. We welcome your questions and are happy to provide you with informative answers! 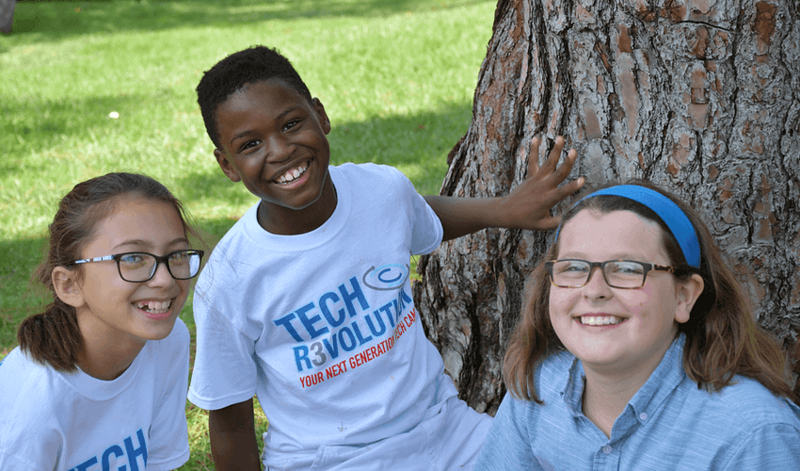 Top 10 Reasons to Attend Camp Tech Revolution®! 1. We are passionate about our camp families and make every effort to ensure your child has a great summer! 2. We value safety, learning, friendship, fun, and excellent camp quality. Our campers have the opportunity to make friends with similar interests and passions in a safe and dynamic environment. 3. We provide a wide variety of uniquely specialized courses that allow our campers to focus on subject areas of interest and improve, or try something new! 4. We develop innovative and cutting-edge curricula that put our campers in a position to succeed. We ignite passion and learning at your child’s pace! Join us to see why thousands of campers love to participate and thrive at Camp Tech Revolution! 5. We hire knowledgeable staff who are passionate about teaching, very experienced in the subject matter, and highly responsible. We hire the best because our campers deserve the best! 6. We offer high quality camps at a great value. We want your dollars to see dividends in your child’s happiness, improvement of skill sets, passion for learning, friendships gained, and being part of a great camp community. 7. First-Class Camp Locations. Your child can have an awesome camp experience on a beautiful, spacious private school or university campus with great amenities. 8. Excellent communication with camp families. We want to communicate with you to make sure your child gets into the Majors and Minors he or she wants, and to ensure that the camp experience is a great one. Reach out to us any time…we are here to help! 9. We employ a full-time Technology Department dedicated year-round to researching, developing, and delivering the best tech camps in the world. Our Expert Leadership Team has backgrounds from the University of Pennsylvania, The Wharton School, Penn Engineering, Cornell University, Brandeis University, Villanova University, EMU, UM – School of Education, Columbia University, Harvard University – Graduate School of Education and more, and drives excellence in everything we do! 10. It starts at the top! Our owners, Justin and Michael Lavner, are extremely hands-on and passionate about offering our camp families the best experience possible, and providing our campers with incredible experiences that last a lifetime. Justin and Michael attended camp for many years as children, worked at camps, and eat, sleep, and breathe Lavner Camps and Camp Tech Revolution! Camp Tech Revolution is the best Tech Camp out there, hands down.